Whip egg whites in a bowl till frothy. Put the almonds in the egg whites and toss until fully coated. 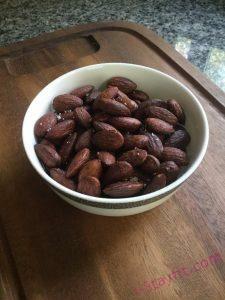 Sprinkle erythritol and cinnamon onto the almonds, add stevia drops and mix well. Make sure the nuts are coated evenly. Pour almonds onto a baking sheet and spread it out in one single layer. Use parchment paper to line the sheet for easy cleaning. Bake for about 30 mins. Stir constantly to keep the nuts from sticking together. 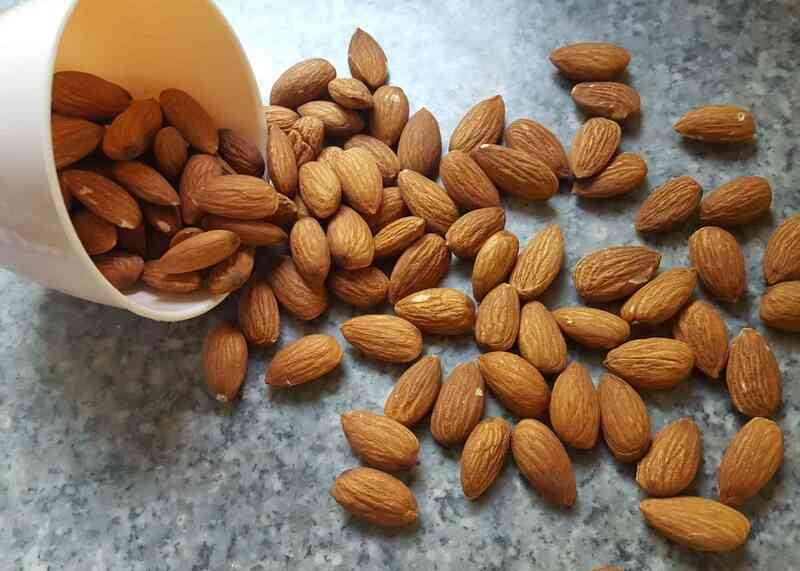 The almonds should be done when the glaze is dry and the almonds will be crispy once cooled. For variation, you can use different spices you like to season the almonds to make them sweet or savory, for examples, wasabi, cumin, chillies, etc. and adjust the taste to your liking.